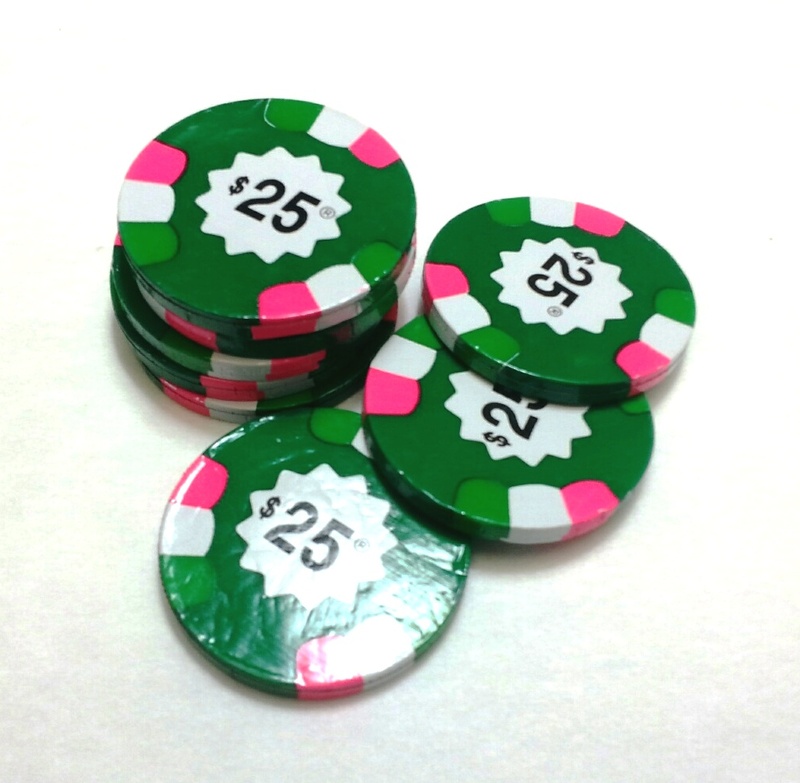 0.22oz chocolate candy foiled novelty $25.00 poker chips. Also available in $5 and $100 denominations. Bulk packaged (pricing per chip). Makes a great food gift or promotional giveaway for a casino or gambling event. Pricing includes a 4CP label imprint on the back side of the chip. Custom imprinted with 4CP label applied to one side of the chip.